Yum! 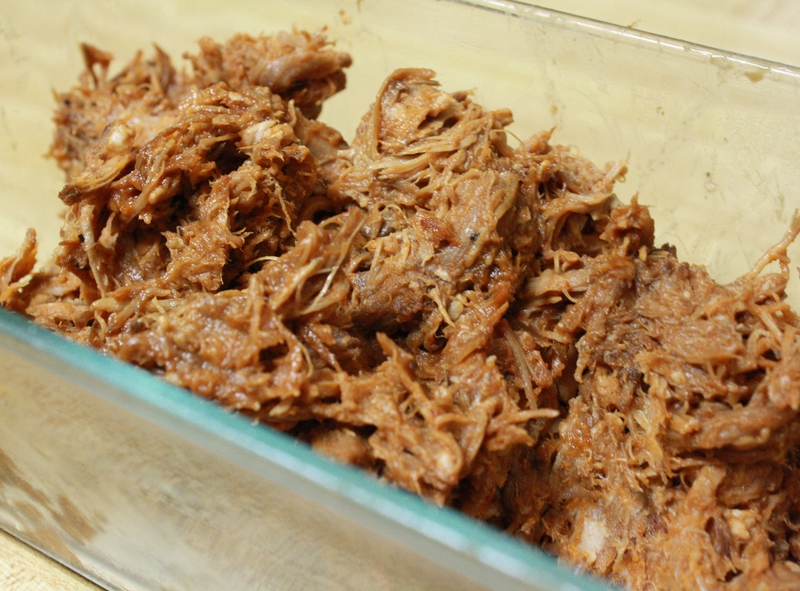 Pulled pork is one of my favorites! I like to eat it in a fresh cooked tortilla with cole slaw. I also cook mine in the slow cooker or on the smoker. My husband loves coleslaw on his as well! My father in law makes a super yummy, more savory and less sweet smoked and BBQd pulled pork with homemade sauce that is great too. Looks good! I always wanted to make pulled pork, but I don’t have a slow cooker. Is there a way to make it without one? Yes- you can roast it in a roasting pan on low heat (225-300 degrees) for just as long (as long as the pork is falling apart and reading 170 degrees). I haven’t tried it in the oven, but I’ve seen lots of internet recipes for oven-roasted pulled pork. Let me know how it works out! I tried your recipe and it turned out sooooo good!! I had no idea how much work to actually “pull the pork”. I learn something new every day!! I’m so happy that I ran across your blog. I have you on “my blog list” on my blog. Can’t wait to try more of your recipes. 🙂 Thanks!! Awesome! I’m so glad it came out for you!